SFI (Strong Future International) Marketing Group was launched in 1998. Starting with just one product, sold only in the United States, SFI has now grown to more than 10,000 products and services (and growing daily) sold in more than 190 countries around the world. The mark of a successful company can be seen in its track record. SFI is now in its 20th year, with millions of dollars in annual sales and millions paid in commissions to thousands of affiliates around the world. SFI's parent company, Carson Services, Inc., is now in its 33rd year of business and is registered with Dun and Bradstreet. SFI affiliates operate with the peace of mind brought about by associating with a proven, debt-free organization with a long, successful history. 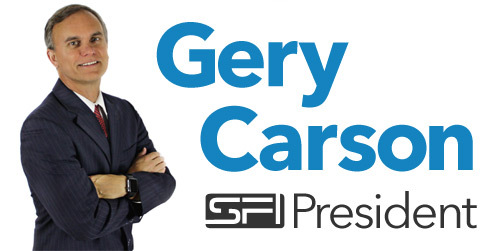 SFI President and CEO, and founder of SFI, is Gery Carson. From 1985 to 1998, Gery was a top marketer and record-breaking distributor for several direct sales companies and a successful business magazine publisher. Known for his innovation, Gery has been a pioneering force in the direct mail and Internet marketing industries for more than two decades. His extraordinary achievements as an entrepreneur have been spotlighted in "Money Maker's Monthly," "Upline," "Opportunity World Magazine," and in numerous books and videos. National recognition has also included being named to 1992's Outstanding Young Men of America list and 1997's Who's Who in the Media and Communications. In 1998, Gery set out to "put a dent in the universe" by creating SFI, a ground-breaking program that would utilize the Internet to empower and enrich the lives of millions of people around the world. Today, with 15,731 new affiliates joining in the last week alone, SFI is one of the fastest growing companies of its kind in the world and is well on its way to achieving Gery's vision. TripleClicks.com, launched in January 2009, is an exciting new destination on the Web. TripleClicks currently features 10,785 products and services from around the world--with hundreds more new products added weekly--including collectibles and items available nowhere else, as well as special, exclusive deals, closeouts, and money-saving offers. SFI affiliates can earn handsome commissions promoting the products and services available at TripleClicks. TripleClicks also includes our Pricebenders Penny Auctions, where members can bid on and win hot, name brand products for a fraction of the retail price—typically more than 90% off--and Eager Zebra games that let members compete with friends and other TC members for prizes and recognition on our leaderboards. There's also our free Daily Crown drawing where you can win your share of $1,700 in prizes every day! And for those who have unwanted items items, TripleClicks makes it easy to list and sell your products for cash or trade. 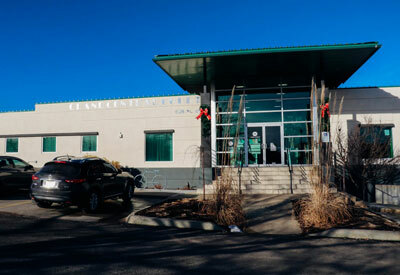 SFI affiliates can visit our 24-hour support center at support.sfimg.com.